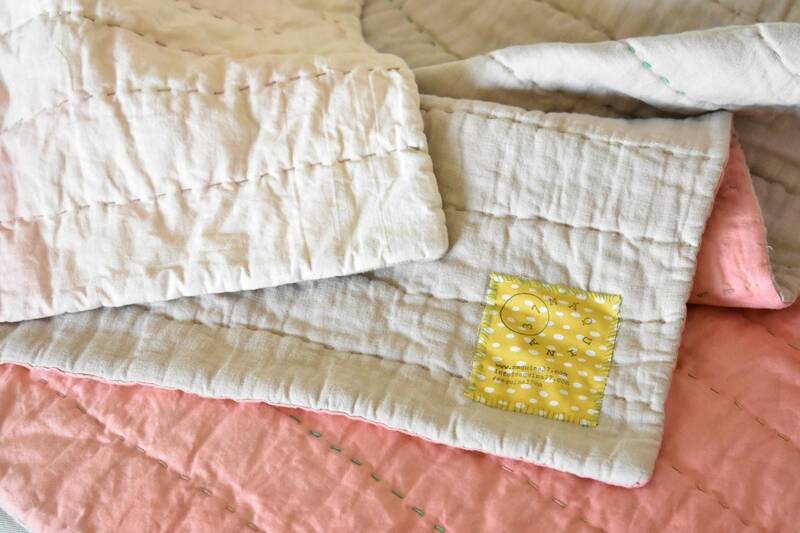 This baby's quilt makes a perfect gift for a first time mom. It's perfect for receiving a baby or decorating a nursery. 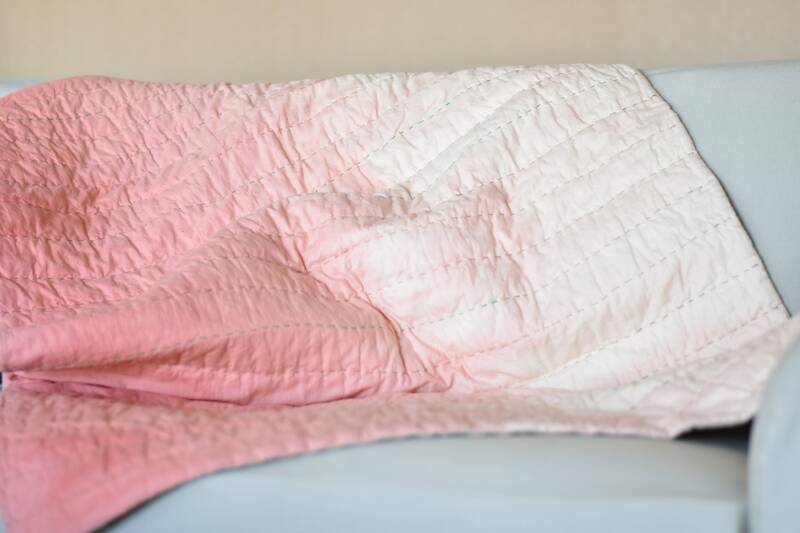 Its simple ombre hand quilted design is timeless. It is an heirloom-in-the-making that your family or friends will love for years. Care: Machine wash cold; gentle cycle, with like colors; do not bleach; line dry; do not iron. 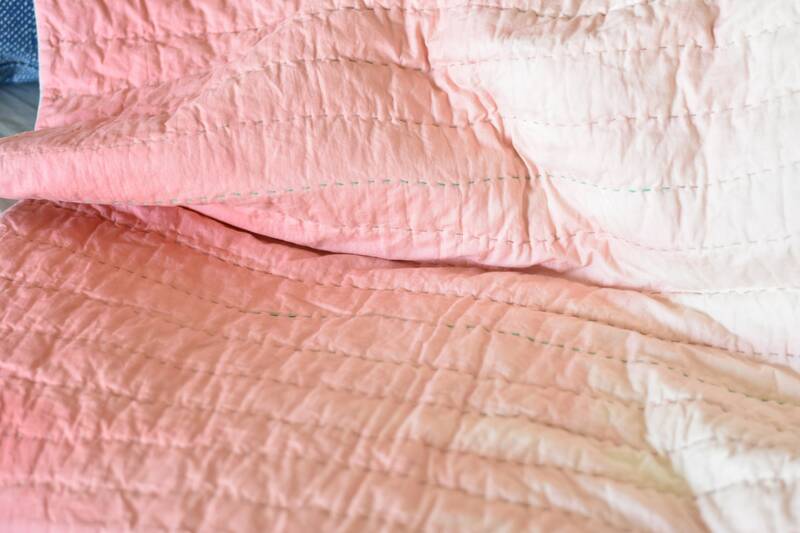 All of our quilts are handmade in Queens, New York. Each quilt is one of a kind. They pair perfectly with our dolls because they are literally cut from the same fabric. The patches that make up the quilts antique look, came from fabric that is left over from our doll making process. We believe beautiful materials should never go to waste.